Disarmament, Demobilization and Reintegration; Countering Violent Extremism; SALW control policy. BA (Oxon) 2002; MA (Oxon) 2002; MA Political Science 2009; PhD Political Science 2014. 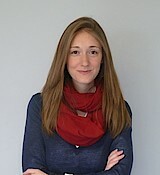 Joanne wrote her PhD on demobilization and desertion in the Democratic Republic of Congo. During her doctoral candidacy she also worked as a consultant with the Small Arms Survey in Geneva, and as an intern with the DDR section of UNDP in Goma, North Kivu. Joanne has conducted over one hundred interviews with former members of militia and rebel groups in the DRC, and has conducted additional fieldwork in Sri Lanka and Timor-Leste. Since joining BICC, her focus has broadened to include small arms control in the Sahel region, and Countering Violent Extremism in Somalia. She is also currently seconded as a Technical Advisor to the African Union Defense and Security Division. Richards, J. (2018). High Risk or Low Risk: Screening for Violent Extremists in DDR Programmes. International Peacekeeping, 25(3), 373-393. Richards, J. (2018). Troop Retention in Civil Wars: Desertion, Denunciation, and Military Organization in the Democratic Republic of Congo. Journal of Global Security Studies, 3(1), 38-55. Richards, J. (2017). Demobilising and Disengaging Violent Extremists: Towards a New UN Framework. Stability: International Journal of Security and Development, 6(1), 14: 1-5. Richards, J., & Sharif, T. (2016). Towards a Continental Strategy for Countering Violent Extremism in Africa. In Global Peace Operations Review. Richards, J. (2016). Implementing DDR in Settings of Ongoing Conflict: The Organization and Fragmentation of Armed Groups in the Democratic Republic of Congo (DRC). Stability: International Journal of Security and Development, 5(1), 1-10. Richards, J. (2016, February). Matching Needs and Resources: Small Arms Control Initiatives in the Greater Sahel, 2015–2016 (BICC Working Paper series No. 2/2016). Bonn: BICC. Richards, J. (2015). An Institutional History of the Liberation Tigers of Tamil Eelam (LTTE). (CCDP Working Paper series No. 10). Geneva, Switzerland: Centre on Conflict, Development and Peacebuilding . Richards, J. (2014). Forced, Coerced, and Voluntary Recruitment into Rebel and Militia Groups in the Democratic Republic of Congo. The Journal of Modern African Studies, 52(2), 301-326. Richards, J. (2013). DDR in the DRC: The Impact of Command and Control. Washington, DC: United States Institute of Peace. Richards, J. (2013). Demobilization in the DRC: Armed Groups and the Role of Organizational Control (Armed Actors Issue Brief series No. 1). Geneva, Switzerland: Small Arms Survey.